Every day, Linux attracts hordes of new fans in China, India, Russia, Brazil, Turkey, Ukraine, Brazil, U.S., Iran and every corner of the world. It’s safe to say that Linux is a bigger hit than the iPhone with the below 21 age group outside the U.S. But the majority of Linux newbies are not fanboys a la Apple fanboys. Most youngsters new to Linux are learning the nuts and bolts of the open source operating system either for a job or to hack for profit or thrill. They do not have the resources to invest on a $1,800 iMac or a closed MacMini. These folks salvage an old PC and install Linux on it or use the Live CD option. However, there’s a tiny group of open source adopters who I will describe as Linux fanboys. For this group, getting hold of a slick, pre-built Linux system is still not easy. There’s no BestBuy or Staples selling slick Linux PCs. But things are starting to change. A bunch of vendors have started peddling Linux minis that seem in many respects as slick as any of the MacMinis or Chromebooks. 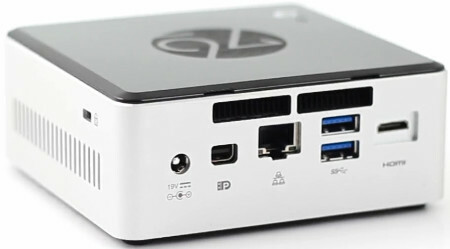 Let’s consider a few slick Linux mini PCs that are available today. 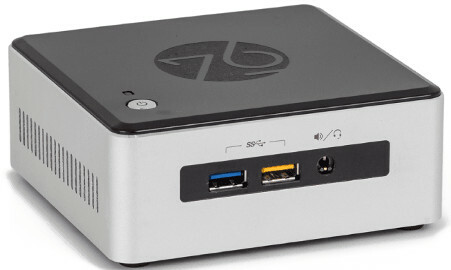 Running the popular Linux Mint distribution, the MintBox Mini is a neat looking device from Compulab costing $295. MintBox Mini comes preinstalled with Linux Mint 17.1 (supported until 2019). Since there’s no bluetooth support, you can’t use a wireless keyboard and mouse. That is a big disappontment. Could that be a sign of good demand for the MintBox Mini? Meerkat is an Ubuntu 15.04 based mini Linux system from System 76. Meerkat’s pricing starts at $499, which I must say is on the higher side. System76 also offers an Ubuntu-based laptop called Lemur for $599 (i3 processor, 4GB RAM, 500GB HD). 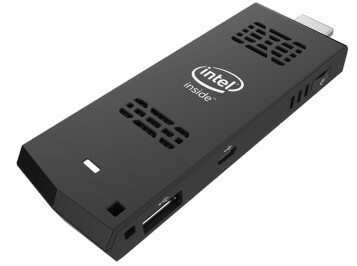 Compute Stick from Intel is exactly what it says – a Linux PC on a stick that resembles a big brother of an USB flash drive. Priced at$110, the Linux-based Compute Stick is set to launch at the end of May 2015 at online retailers like Newegg. One of the disappointing aspects of the Compute Stick is the measly onboard storage (a piffling 8GB). I’m not too pleased with the installed memory (1GB) either. With such anemic configurations, I doubt Compute Stick will be flying off the shelves. MintBox 2 is also from Compulab, the same folks who brought you the MintBox Mini. I’m happy with the MintBox 2’s configurations. It’s powered by an Intel i5 processor and comes with 4 GB of RAM. But MintBox 2’s pricing is, alas, on the higher side at $599. You can purchased MintBox 2 directly from Compulab or via Amazon.com in U.S. and Europe. The Penguin Pocket Wee is a Linux mini system from Flemington, New Jersey based Think Penguin. At $499, Penguin Pocket Wee is priced on the higher side. Adding wireless -N and Bluetooth will cost an extra $77. Think Penguin offers a bunch of Linux notebooks too. 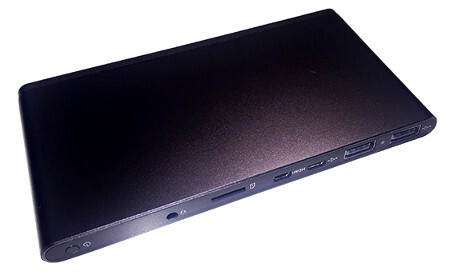 The folks behind the Black Lab Linux distro offer a mini PC called Black Lab Pup mini-PC. Described as a “pocketable” system, Black Lab Pup mini-PC costs $270. The company also used to offer the Black Lab BriQ rev4 Linux mini PC for consumers for $550 but I don’t see it listed on the company’s page now. Mini PC specialist Cloudsto’s X86 Nano Mini PC is one of the interesting Linux Mini systems since it includes a built-in battery. At about the size of an iPhone 6 Plus, the Cloudsto X86 Nano Mini PC costs $204. 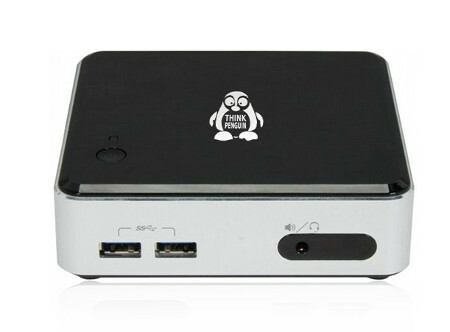 Besides the Cloudsto X86 Nano Mini PC, the UK Mini PC retailer peddles several other Linux mini systems. At $700, the Black Lab BriQ Pro is the costliest Linux mini system I’ve come across. The specs (see below) of the Black Lab BriQ Pro are solid but overkill for consumers (particularly the memory). In my view, a small business couldn’t ask for better specs than the Black Lab BriQ Pro. Much as I love the specs of the Black Lab BriQ Pro, I can’t imagine many businesses or consumers will want to shell out $700 for a Linux mini system. 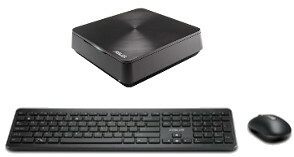 The availability of Linux Mini PCs suggests that Linux is slowly starting to enter the mainstream consumer world.